Well, gang, this is it. We knew it was coming — and now, our poor, dear Inbox is really, truly down to its final moments in this world. Google's pulling the plug on Inbox for good sometime tomorrow. And while there isn't a heck of a lot we can do about the app's imminent demise, there is an intriguing new way to keep a key part of Inbox — its very interface, on the desktop, at least — alive. And best of all? It couldn't be any easier to do. That, my friends, is what my inbox actually looks like in Gmail right now. How 'bout that, eh? Inbox hasn't even quite left us, and already, it's back from the dead. Before you get too excited, though, we should talk about what is and isn't going on here. This extension is, quite literally, just a skin for Gmail — a mask of sorts that lets it look like Inbox on the surface. But beneath that exterior, it's still just Gmail, and most of the more consequential Inbox oomph is nowhere to be found. What it can't bring back, unfortunately, are deeper Inbox ideas like the service's Bundles system for organizing messages. (And remember, despite what some previous reports had suggested, a Google spokesperson told me earlier this year that it's trip bundling, specifically, that's on the development roadmap for Gmail (though not with any specific time frame attached). There's no indication the broader Bundles system for categorizing messages and controlling when they're delivered is actively being developed for the service.) 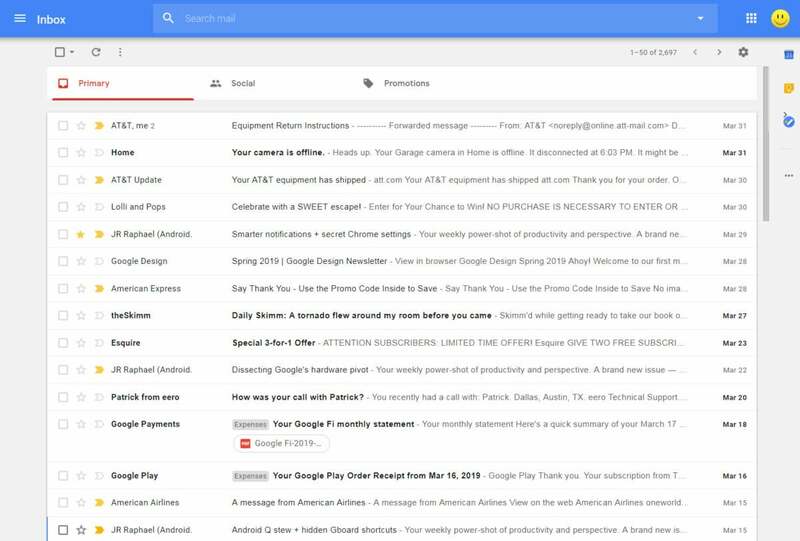 The extension also doesn't bring back Inbox's integrated reminders system, its inbox-based article-saving system, or its extra keyboard shortcuts. For Inbox-esque reminders that both notify you and exist as easily identifiable items in your Inbox, see "Part II" of this story. I came up with an admittedly complex-to-configure workaround that I've been relying on myself for months now. And once you get it set up, it just works — really, really well. For an Inbox-like system for saving articles directly into your inbox for future reference, check out "Part I" of that same aforementioned story. It walks you through setting up a service called Email This, which gives you an easy way to save entire articles — not just links but their actual full text, too, nicely formatted so you can read them (or even search for 'em later) right in your inbox. 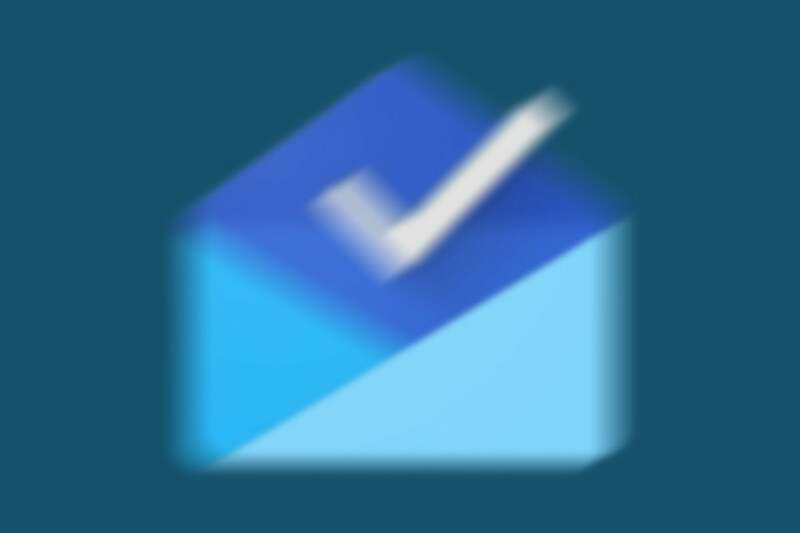 This is another one I still use all the time, and it's honestly a pretty significant upgrade over the way Inbox handled the same area. For Inbox-inspired shortcuts in your Gmail desktop setup, look in the "Advanced" section of Gmail's settings and make sure "Custom keyboard shortcuts" is enabled. Then, open up the "Keyboard Shortcuts" tab in your Gmail settings and add "ESC" in the second box next to "Back to threadlist" and "i" in the second box next to "Go to Inbox." Those are two Inbox shortcuts I came to rely upon and really missed upon moving back to Gmail. Having 'em back up and running has made my life in Gmail much more pleasant. What about Bundles? Like we said a second ago, you're mostly out of luck there — sorry, Sancho — but what you can do is optimize Gmail's available options for sorting mail in order to make 'em as manageable as possible. I put together some tips for doing that here. 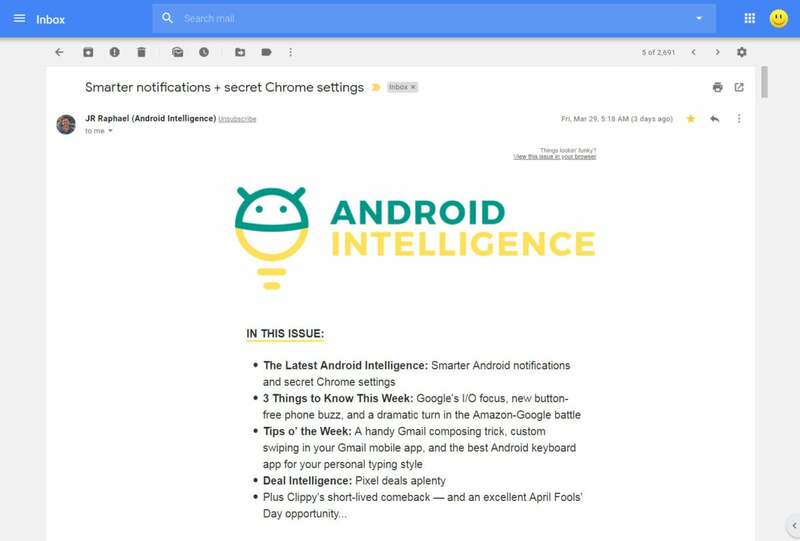 As for the Gmail Android app, there's not much you can do on that front, either — but you can take the time to learn some of the app's handy hidden shortcuts (including one that'll give you an Inbox-like left-swipe-to-snooze gesture). And if you miss trip bundles, you can take solace in the fact that Google says those are coming to Gmail at some point in the future. In the meantime, you can download the standalone Google Trips app, which pulls the same sort of travel info from your inbox and presents it in a similarly organized manner. For an even more detailed look at my step-by-step suggestions for moving on from Inbox and making Gmail a reasonably tolerable alternative, look back to my complete guide from earlier this year: "Goodbye, Google Inbox: The Inbox-to-Gmail survival guide." For a shoulder to cry on, meanwhile, hey — I'm here for ya, pal. Always and forever. Let it all out, okay? This may seem bleak now, but I promise: Every little thing is gonna be all right.